Study the trademark songs, licks, tones, and techniques of the original guitar god, Eric Clapton. 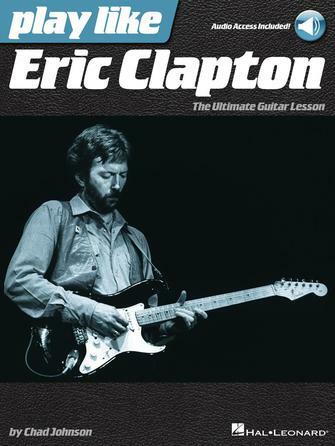 This comprehensive book and audio teaching method provides detailed analysis of Slowhand's gear, tone, techniques, styles, songs, licks, riffs, and much more. You'll learn everything you need to know about Clapton's legendary guitar playing, from the '60s blues-rock period to his solo career to Unplugged and beyond. Each book also includes a unique code that gets you access to online audio samples of all the music in the book. Songs covered include: Badge • White Room • Bell Bottom Blues • Change the World • Cocaine • Cross Road Blues (Crossroads) • Lay Down Sally • Layla • Sunshine of Your Love • Tears in Heaven • and more.